Discount Shuttles - Our Best Buys! THE CHEAPEST AIRPORT SHUTTLES TO BRECKENRIDGE, VAIL, COPPER, FRISCO & KEYSTONE. Choose a Discount Shuttle to Breckenridge Station, Frisco Transfer Station, Vail Transportation Center, Copper Lodging Check-in or Keystone River Run. Looking for the very best deal on a shuttle from Denver to the mountains? Our Vail and Summit County Discount Shuttles offer you the best priced airport shuttles between DEN and Vail, Frisco, Breckenridge and Keystone year-round. Because we make a centralized stop at the transfer center, we save money and we pass those savings on to you! Please note that there will be other stops. Looking for door-to-door airport transportation from Denver to Summit County? See our door-to-door airport shuttle information. From this location you can take the Summit Stage for free to anywhere in Summit County or you can take the Breckenridge Free Ride bus anywhere in town. From Frisco, you can take the Summit Stage to to anywhere in Summit County for free. See Summit Stage bus schedule here. 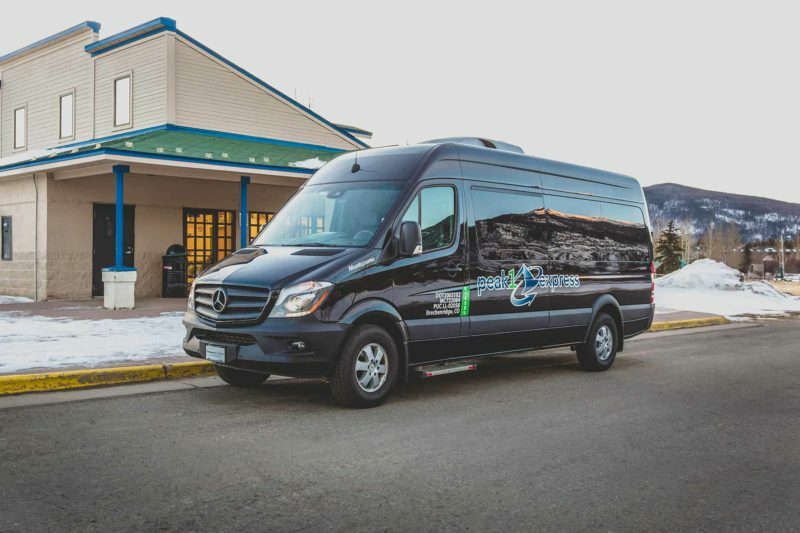 From this location you can take the Vail Bus anywhere around the town of Vail or catch the Eagle County ECO Transit system to various locations around Eagle County. Keystone has its own internal bus system to get you from River Run to anywhere in the resort you’re staying. From this location you can take the Summit Stage for free to anywhere in Summit County or you can take the Copper Coach Dial-A-Ride Service or On-Resort Shuttle Service bus anywhere in town. Ready to book a Denver airport shuttle to or from one of our transfer centers? Just Book Online now and choose a transfer center stop!